From time to time The Missing Princes Project will make some of its wider research work available and accessible online. We get underway with the first complete English translation of John Morton’s will by project member, Dr Betty Knott. With thanks as ever to all those taking part. In the late spring of 2016, Dr Betty Knott, a retired Latinist from Glasgow University, graciously agreed to participate in The Missing Princes Project and offer her expertise. 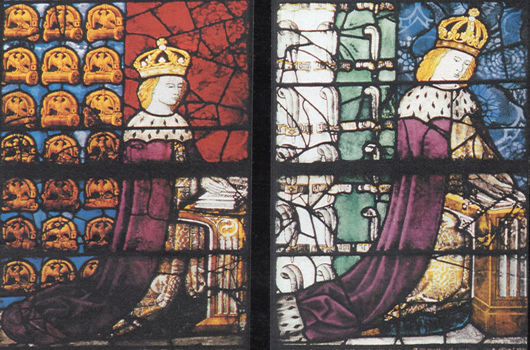 As the information gathering for the modern investigation into the disappearance of the sons of King Edward IV continued apace, it was becoming increasingly clear that the enquiry had to consider all potential sources of information. For members of the Society, Dr Knott’s article on Morton’s will is published in the Ricardian Bulletin, June 2018, pp.47-54. Our very grateful thanks to Dr Betty Knott for undertaking this original research work on behalf of The Missing Princes Project. 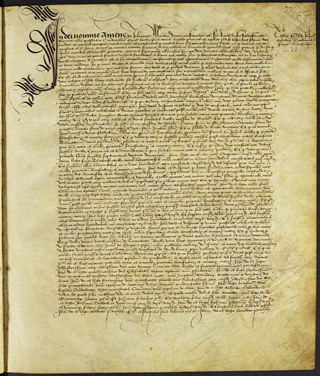 With thanks also to Marie Barnfield whose meticulous and informed transcript and decipherment of the very difficult hand of the original manuscript considerably expedited Dr Knott’s own reading of the original text, and author, Isolde Martyn, whose investigations into John Morton instigated this complete English translation of his will. 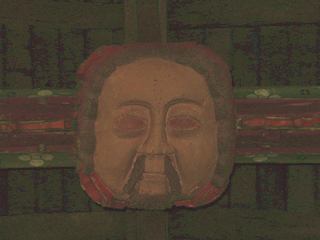 Image of (possibly) John Morton from the roof boss in Bere Regis Church, Dorset. Reproduced by kind permission of Michael Day. 1. C. Everleigh Woodruff, Kent Archaeological Society, 1914, vol 3, Sede Vacante Wills: Canterbury, pp 91-93.